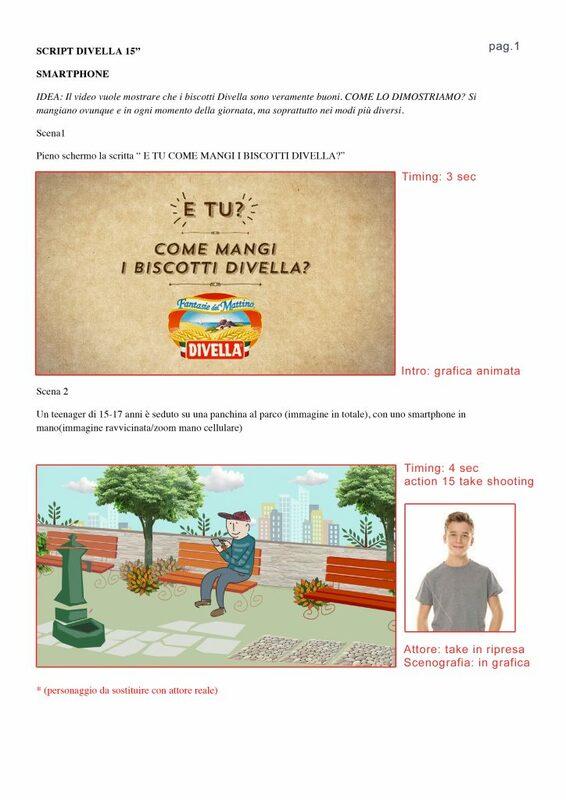 Storyboard for three commercials, advertising Biscotti Divella. 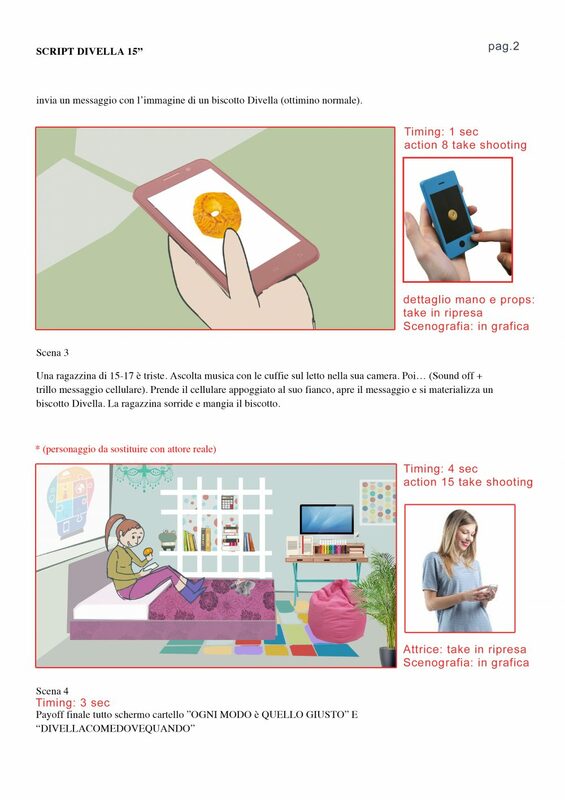 The commercial was shot in mixed technique which includes stop motion, pixilation, live action and chroma key. Graphics and photographs were composited in After Effects. The storyboard was functional to the presentation and organization of the production as it helps managing the different techniques and sets the timing necessary to allow the blending of graphics and live shooting in the same frame.